Iran says its exports of hand-woven carpets to the United States have reached around $50 million since the removal of sanctions in January. 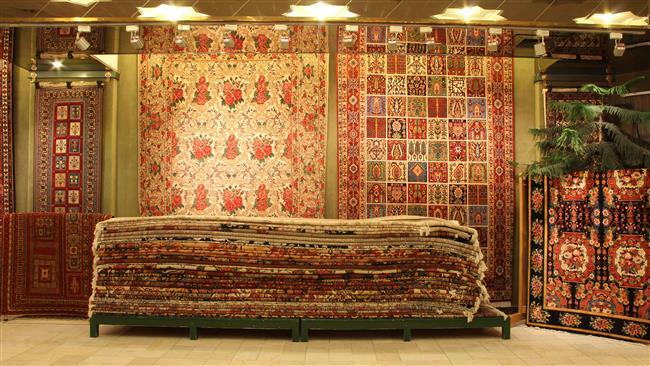 Hamid Kargar, head of the Iran National Carpet Center, told Reuters that Iran was under pressure in the US market by rivals such as India, Pakistan and Turkey during the years that the sanctions were in place. Kargar emphasized that the world’s largest buyer imported more than $80 million worth from Iran in 2010, before the trade embargo on the country was tightened. He emphasized that a growth in exports of hand-woven carpets will have a positive impact on the lives of the carpet weavers in the country. There are almost 1 million carpet weavers in Iran, 700,000 of whom are working full-time, Kargar said. Between March and September this year, Iran exported $134 million worth of handmade carpets, or 2,330 tons, to 80 countries, Reuters said. That was a 17.7 percent increase in value and 10 percent rise in weight compared to a year earlier. During the sanctions years, Iran partially compensated for its loss of market share in the United States and Europe by finding new buyers in Russia, China, South Africa and some Latin American countries, the report added. It still holds about 30 percent of the global trade in handmade carpets, Kargar further told Reuters. Iran shipped its first cargo of hand-woven carpets – globally considered the crown jewel of its handicrafts industry – to the US in February after the sanctions against the country were lifted. The cargo was sent to Los Angeles from Hamburg.